Palestinian president Mahmud Abbas on Monday reappointed Salam Fayyad as premier and tasked him with forming a new government after his cabinet resigned, an official said. 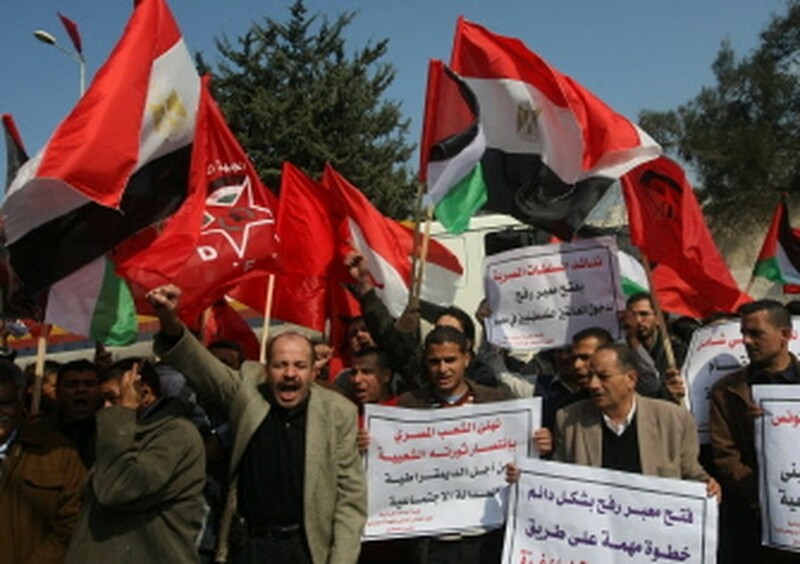 Palestinian supporters of Democratic Front for the Liberation of Palestine (DFLP) shout slogans in support of the protesters in Egypt who forced their President Hosni Mubarak to resign, as they march in a rally in Gaza City on February 14, 2011. "Abbas reappointed Fayyad and asked him to form a new government," a senior official in the president's office told AFP shortly after Fayyad's government cabinet resigned en masse. The move comes after the Palestinian leadership announced it would hold legislative and presidential elections in the coming months, and as a wave of unprecedented public protest demanding democratic reform sweeps through the Arab world. "President Mahmud Abbas on Monday charged Salam Fayyad with forming a new government which will be charged with the most important mission of responding to calls for presidential, legislative and municipal elections," said an official statement. "President Abbas said the new government should concentrate its efforts on mobilising its energies to prepare national institutions for the establishment of an independent state of Palestine before the deadline of next September," it said. Abbas asked Fayyad to start consultations with various political parties and actors in Palestinian society as he seeks to piece together a new government, it said.